Nokia just launched this new site announcing the very limited availability of their newest multi-media computer, the amazing N96. We’ve been hearing about this phone since 3GSM…the specifications are basically mind-blowing. It’s the N95 on steroids, growth hormone, speed and Jolt Cola. It is THE DEVICE for the UBER-GEEK and the toy I currently want most to add to my collection. Apparently a select number of people will be able to get these devices via this site – ahead of the device being available in most countries. Their launch site is pretty cool, too. This entry was posted in mobile, New Gadgets, Nokia and tagged facethetask.com, Launch, MicroDVR, N96 Limited Edition, Nokia N96, oliverstarr, owstarr.com, starrtrek. Bookmark the permalink. 2 Responses to Want a Limited Edition Nokia N96? Now’s Your Chance! 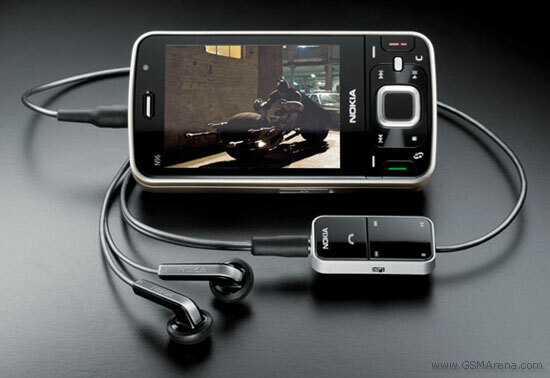 Pingback: New Gadgets | Want a Limited Edition Nokia N96? Now’s Your Chance! THIS PHONE IS WICKED AND MY FRIEND HAS ONE AND HAS THE BEST ABILITYS EVER. THE CAMERA IS FANTASTIC AND I WISH I HAD ONE.